Google has been very busy with their expansion of Android as a platform this year. At Google IO we saw the announcement of endeavors like Android TV and Android Auto. But the stars of the show were a preview of the next version of Android, code named Android L, and Google's new Material Design principles for interface design across all of their products. In the years since Android 4.0 Ice Cream Sandwich released, we've seen the launch of Jellybean and KitKat, but both of these versions were very iterative improvements upon 4.0 and had equally iterative version numbers with Jellybean being major versions 4.1 through 4.3 and KitKat being 4.4. 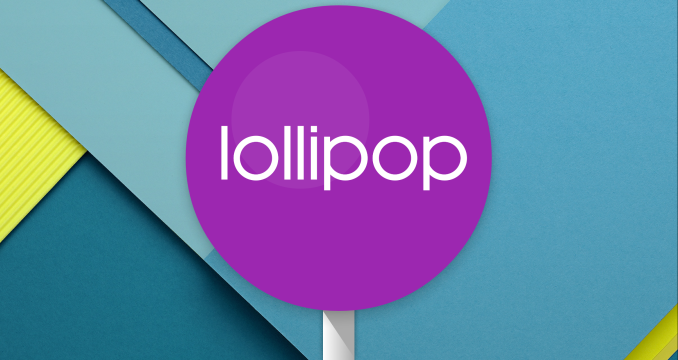 Lollipop is given the major version number of 5.0, and it's quite fitting as it's arguably the biggest advancement to Android in a long time. It comes with an entirely new interface based on Material Design, a new application runtime, and many new features that I could not hope to summarize in this paragraph. It can be difficult to begin a review of Android, as the definition of what Android is can be very dynamic. Android as an operating system that performs a set of functions is fairly well defined, but it's nearly impossible to define what Android looks like based on how it appears on most smartphones. The interface that Google has created for Android has matured greatly from its original iterations, but OEMs continue to put their own interfaces on top of Android to differentiate their devices. What applications are part of Android is also an interesting question. We can look to what applications are included in AOSP, but truth be told even Nexus users with "stock Android" aren't really getting an AOSP experience. That may not be a bad thing for users, because many AOSP applications are quite bare compared to the Google applications that have superseded them. However, it poses a problem when deciding what should be discussed in a review of Android, and it has implications relating to how much of "Android" truly is open source. Google has also moved many applications over to Google Play so applications can be updated independently of the operating system, which bypasses many of the concerns about fragmentation from the days when application updates would come with Android updates that a user might never get. This adds an additional level of consideration when deciding which of these Google Play applications should be considered part of Android and discussed during a review. For the purposes of this review specifically, I've attempted to take a look at most of the applications that come pre-loaded on a Nexus device which includes applications like Gmail that other people may contend are not actually part of Android due to them not being part of AOSP. It should also be noted that Google has been updating their applications to have a Material Design interface since it was originally revealed at Google IO, and some of the earliest updated applications have been excluded from the review as users are already very familiar with how they look an act by this point. We have covered many of these over the course of the year, and so readers who wish to see changes that were made to apps like Gmail and Google Sheets can look to our past coverage from when those applications were updated. To begin the review, we need to explain exactly what it means for something to have Material Design. It's the other way around: Android absolutely needs AOT-type compiler (ART) to decide between aarch32 and aarch64 prior to starting the process. If an app contains even a single JNI call to an aarch32 subroutine, the whole app HAS TO be compiled to aarch32, because no mode switching is allowed within a process. Your saying "apps are primarily written in Java" and Andrei's article are also misleading in just stating what Google claimed: 85% apps are written in Java. Google most probably isn't lying with that, but the fact is: most TOP apps AREN'T written in Java. I once checked top 25 apps in the US store: only two of them were written purely in Java. What this means? 64-bit will remain just a gimmick on Android for the upcoming 4 years thanks to the fragmentation. For 64-bit NDK apps, the devs HAVE TO set Lollipop as the minimum requirement since it REQUIRES AOT. I haven't seen anyone do an AArch32 vs AArch64 showdown on Android yet.